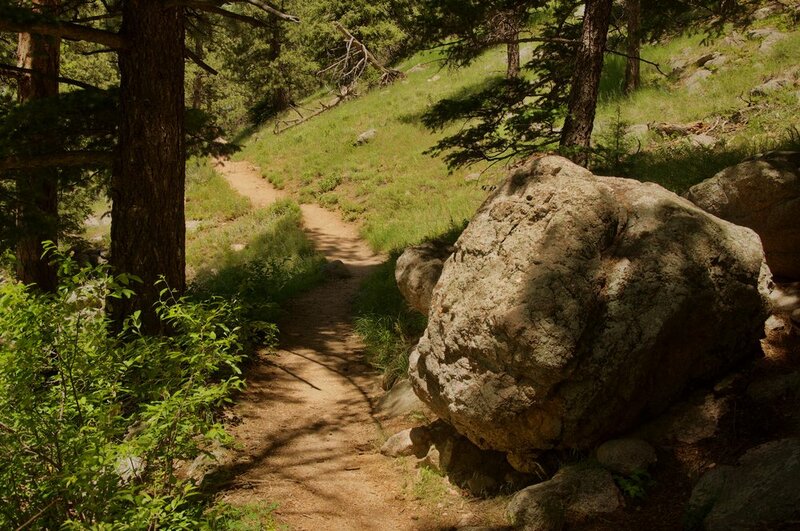 Description: Tenderfoot Trail is the perfect first trail for your visit to explore Boulder mountain beauty. It is the hike that all other hikes on this website should be measured against. While the trailhead is at 6750', it's only 345' of elevation gain over about a mile, totaling just a little over 1.8 miles out and back. Boasting smooth surfaces and beautiful flora, it offers some of the best views of the Continental Divide in the Boulder city limits. It's a good summer hike as well because it starts near the peak of Flagstaff Summit, which is much cooler at 6750' than in Boulder. Optionally, it can be combined with a hike on Range View for an added 1.2 miles (see our Boy Scout hike for more info on the Range View trail). This would allow for parking on Flagstaff Summit near the stone shelter, where there are great views and a large selection of tables, and enjoying a picnic before or after your hike. Challenge Level: Easy, 1.8 Miles, 350' Elevation, 1.5 Hours. This is a true beginner trail because there really is little that is challenging about this hike. Mostly downhill to the lookout, and you gain about 350' on the return. Lots of shade for resting if you need it. 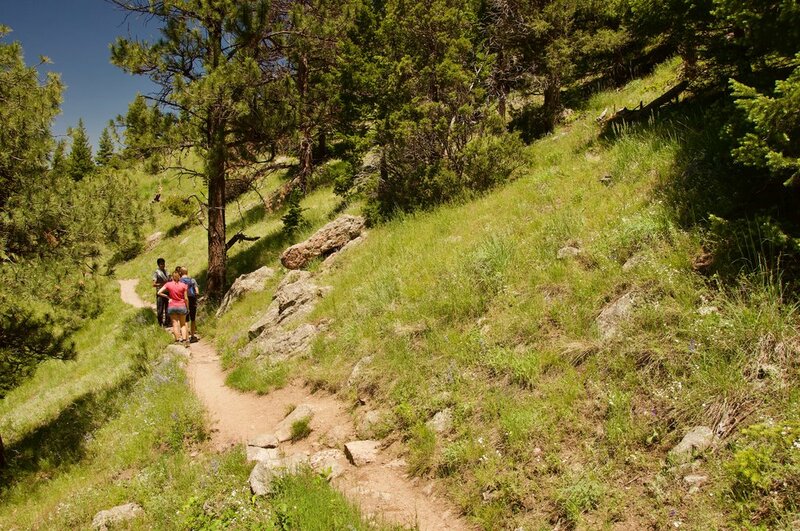 A great, easy hike to enjoy with the whole family! Parking: Realization Point Parking Area, Flagstaff Rd and Flagstaff Summit Rd intersection. Limited spaces, but more spaces up Flagstaff Summit Rd. $5 fee for non-Boulder registered vehicles. Trailhead: You will see the trail marker board on the north side as you turn onto Flagstaff Summit Rd from Flagstaff. 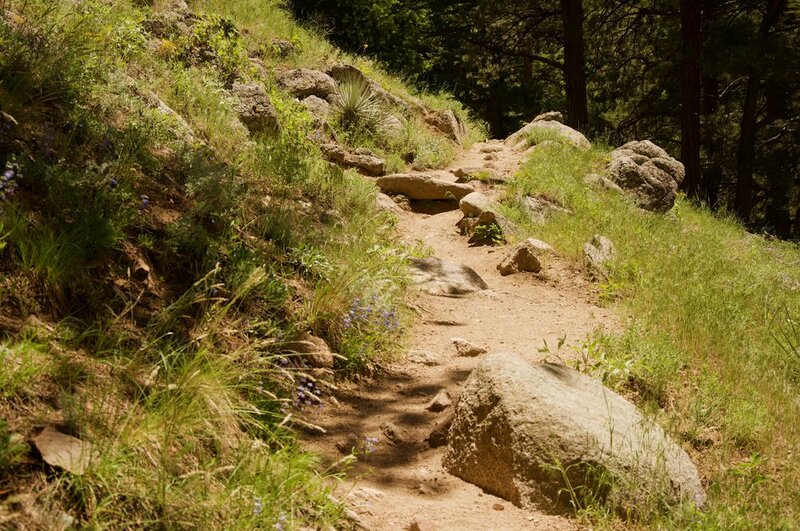 Trail Guide: This is a very straightforward and easy trail to navigate. 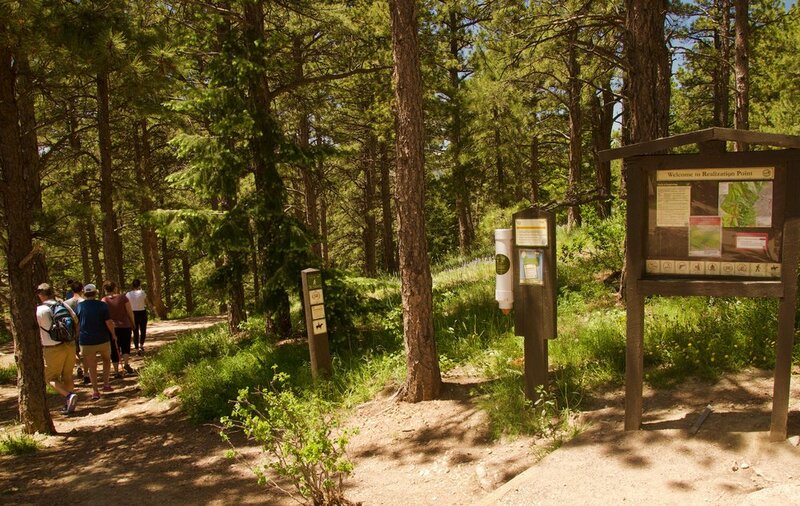 At the trailhead you will see a signpost for Ute, Rangeview and Tenderfoot trails. 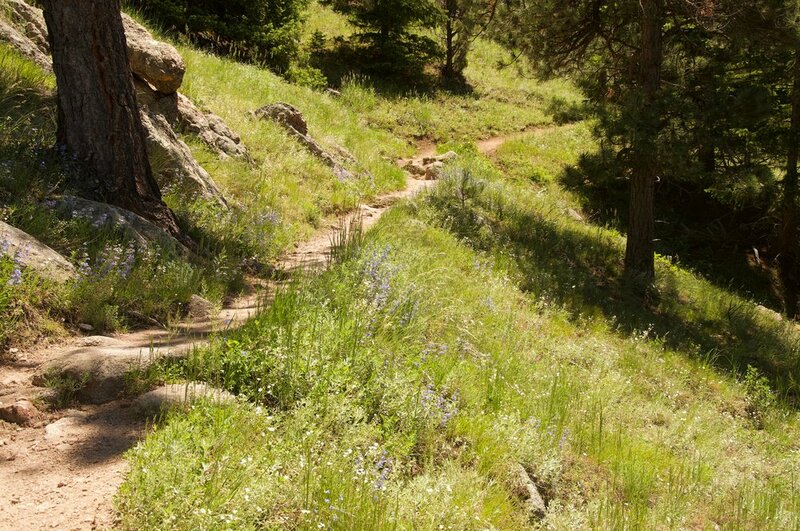 Follow the trail toward Rangeview and Tenderfoot. Soon after you will come to the split of these trails. Continue to the left on Tenderfoot. At 0.8 miles you will come to where Tenderfoot turns to the left. Continue straight to the Divide Overlook, a short distance up some wooden steps. 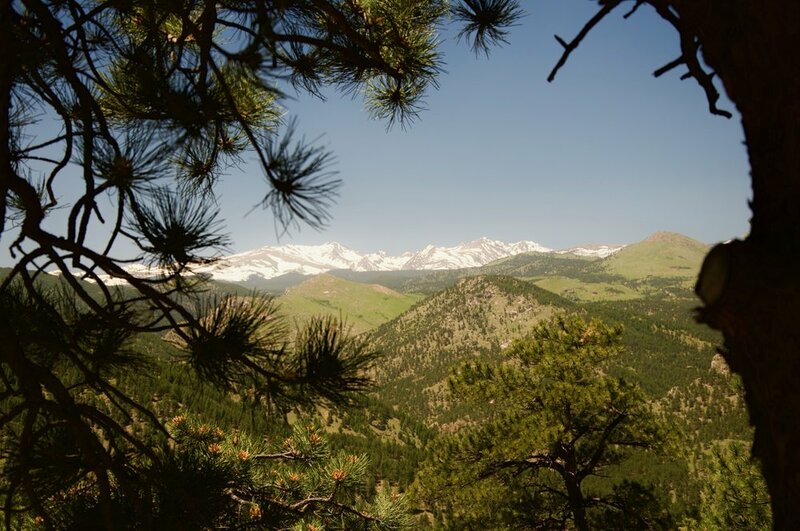 Take in a some great views of the divide and the Indian Peaks (that section of jagged peaks in the distance), rest up and return the way you came. Après Hike: For some, this hike may be their first time back on mountain trails in many, many years. To commemorate those memories, the perfect beer pairing would have to be Boulder Beer's Flashback India Brown Ale. Boulder Beer is honored as Colorado's first microbrewery, and is located in downtown Boulder at 1123 Walnut St, Boulder, CO 80302, and 2880 Wilderness Place, Boulder, CO 80301. They offer a fantastic menu to compliment all of their great craft beers. Picknicking: Lots of options up on Flagstaff Summit. There are a couple of picnic tables at the trailhead. Many people will take snacks with them to the lookout overview.